Our Little Bit of Sunshine: Just what I needed! I am a huge fan of finding projects and inspiration from blogs, but it is so hard keeping all the projects and ideas organized. I write stuff down or save them to my computer, but when I want to do the project I can't find it or the site I got it from. 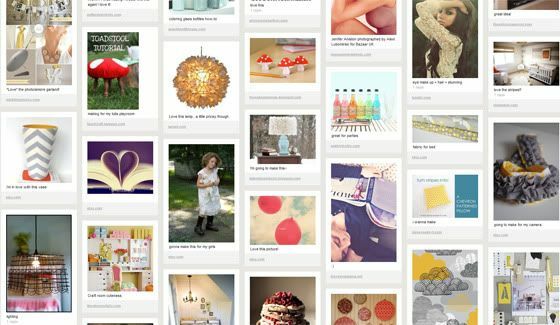 So, let me introduce you to something that seems like it was made just for me....Pinterest is a fantastic tool to organize all of your virtual inspiration boards. I AM IN LOVE! If you are browsing a blog or website and see something you love, all you have to do is click "pin it" and it will save it to your board under the category you want and when you click on your pin later it takes you right back to the site you got it from. Watch THIS short tutorial. If you need an invite just email me at kelleyhowephoto@gmail.com. Wow, thanks for sharing! This is what I've been looking for. We are buying a house and I've been putting page links to inspiration ideas on an email but this is so much better. Thanks for sharing!!! I do the same, look for projects and ideas on blogs ..... I love your blog... you had so many ideas so inspiring.